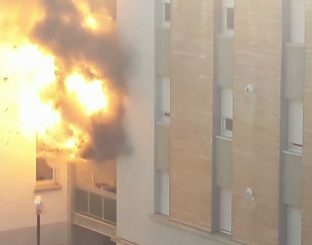 A hairdresser sets on fire hair of his client ! 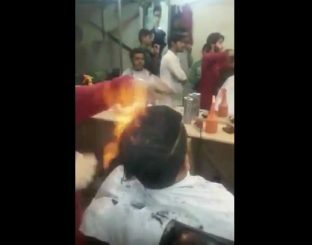 In a hairdresser in India, a hairdresser applies products to the hair of his client, then he ignites the hair while combing them with two combs. 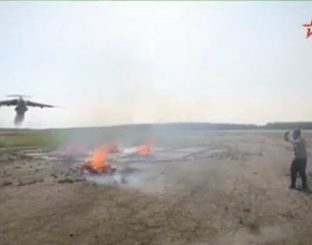 A strange technique whose reason remains to be discovered. Still, the customer must certainly have great confidence in the professional. 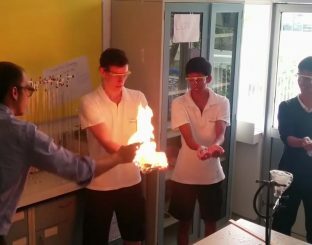 During a chemistry class, students play hot potato games with inflamed propane bubbles. 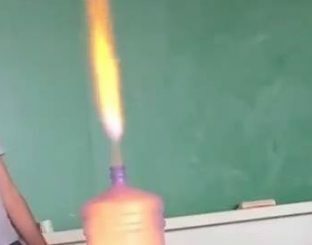 Thus, each student quickly passes the flame to his neighbor without burning himself.